The North East region is best known for its wine, its spa towns, rural tranquillity and the historic town of Ptuj. Ptuj is arguably the most attractive historic town and in fact the oldest continuously settled town in Slovenia. Situated next to the Drava River a jumble of medieval streets, squares and churches rise up to the picturesque castle that sits on top of the hill. It is a wonderful place to spend a day or two soaking up the history. One of the regions most attractive wine roads is east of Ptuj on the Croatian border running between Ormož and Ljutomer – cycling along the route stopping off at the many wine cellars and pretty villages is a wonderful way to while away a day. 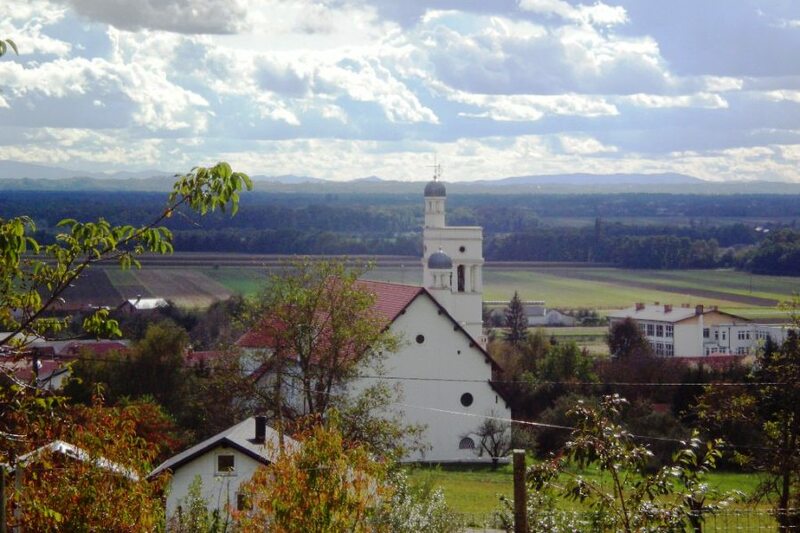 The far north eastern corner of Slovenia is called Prekmurje and is geographically and to an extent culturally distinct from the rest of the country and with a strong Hungarian influence and some of the best cuisine in the country. It consists mostly of tranquil flat agricultural land dotted with pretty villages, vineyards and churches. The best known attraction centres around the spa at Moravske Toplice, with plenty of modern family friendly sports facilities and a golf course. 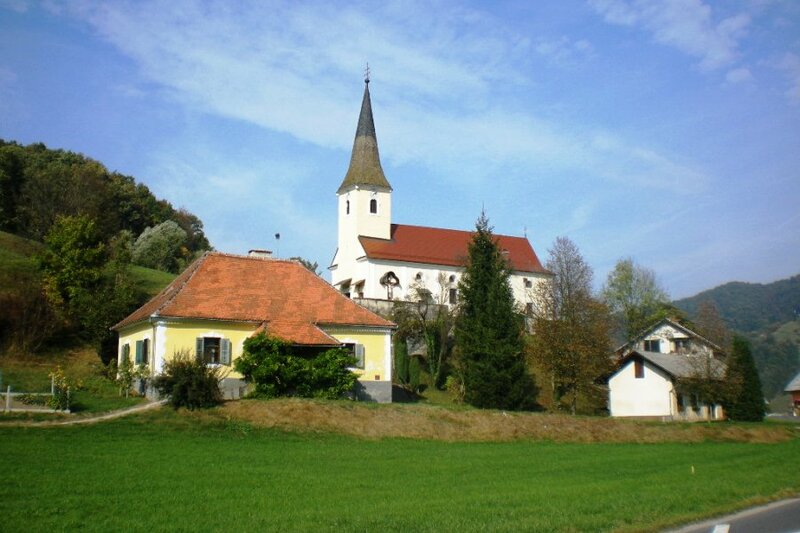 Close by is the lovely village of Bogojina, with a beautiful church designed by Slovenia’s most famous architect, Jože Plečnik. 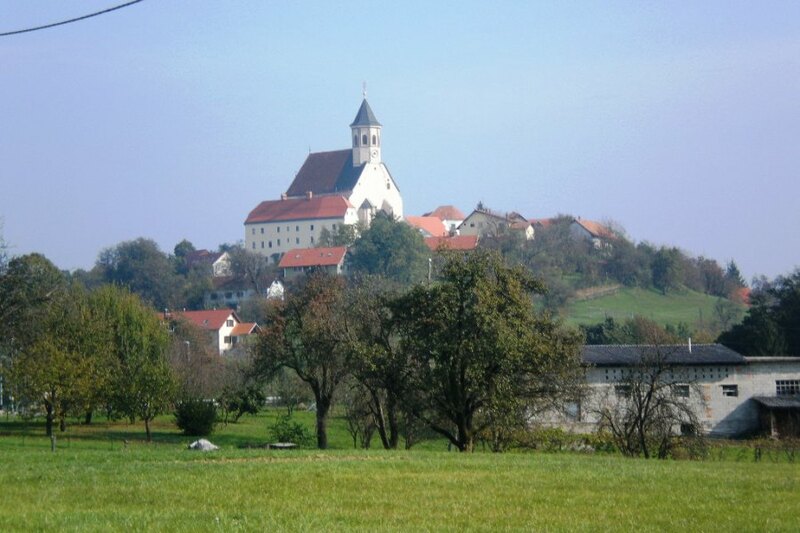 To the north of Prekmurje lie the lovely rolling Goričko hills, home to a regional park and the town of Grad, meaning simply “castle”, where, as the name suggests, you can find the largest baroque castle in Slovenia. For Ptuj Weather click here. 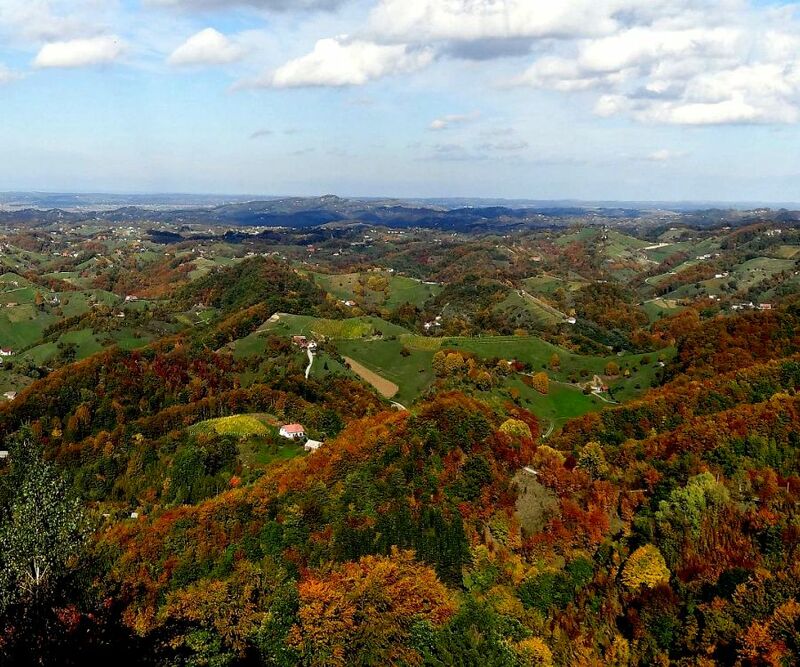 The beautiful Haloze hills run from Makole east for circa 40km and are bounded by the Drava River in the North. 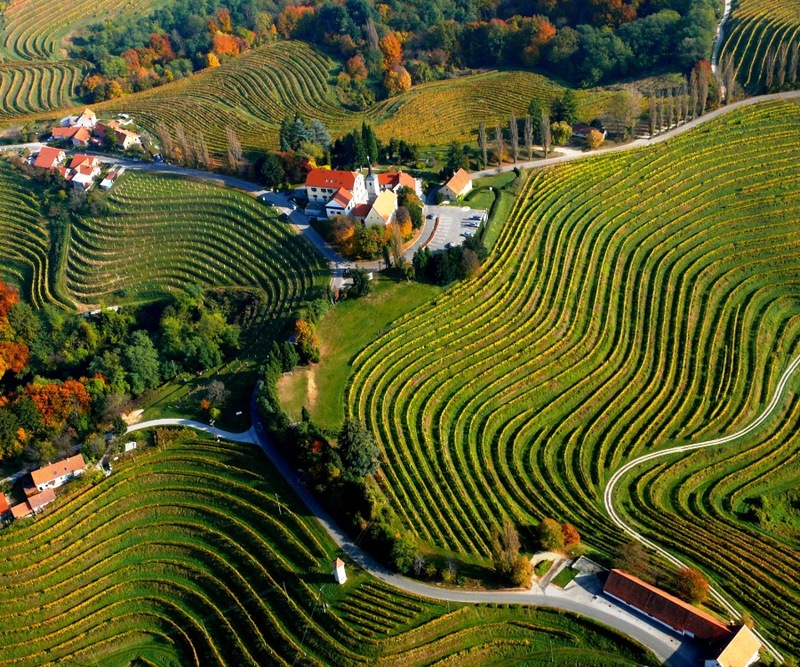 One of Slovenia's best loved wine areas producing an excellent range of white wines, the region offers ample scope for wine tourism but also wonderful walking and cycling (especially on the beautiful Haloze Mountain Trail) as well as points of interest such as the pretty town of Ptujska Gora, Štatenburg Castle at Makole & Borl Castle. The stunning Ljutomer - Ormož wine road is perhaps the highlight in terms of wine tourism of a region that has wine flowing through its veins. The route passes through beautiful vineyard covered hill country through the small town of Jeruzalem and culminating in the pretty castle town of Ormož dating back to the 13th century. Strolling around the atmospheric old town of Ptuj; Slovenia's oldest town. 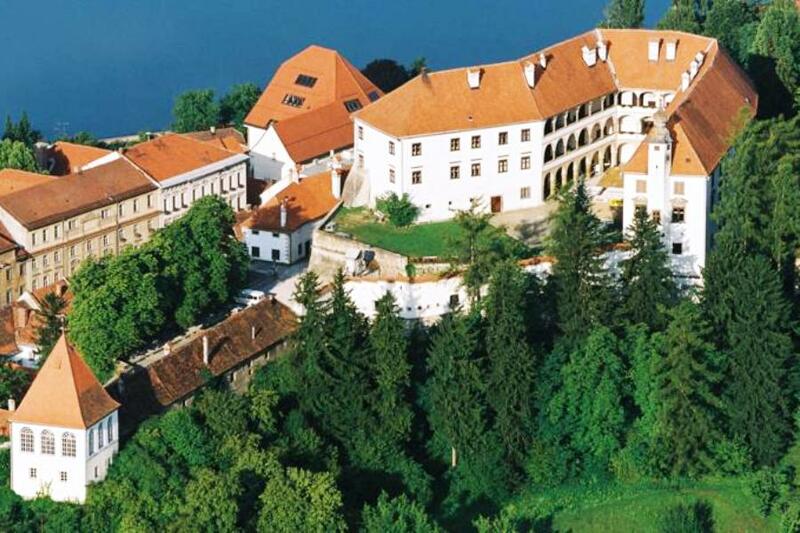 In particular visiting its famous castle which dates back to the 9th century and offers an interesting museum, gallery and views over the old town and Drava River. The Terme 3000 Moravske Toplice spa and waterpark is one of the country's largest and best known with over 5000m2 of water surfaces of all kinds with waterslides, outdoor and indoor pools, excellent spa facilities and a range of health treatments based on the "black" thermo mineral waters. There is also an 18 hole golf course featurding Slovenia's longest hole! 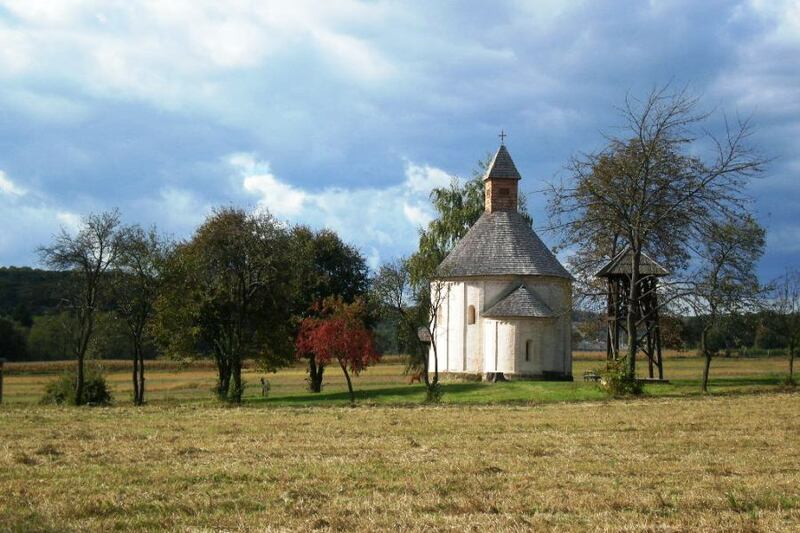 The Goričko Regional Park in Prekmurje - lovely gentle walking and cycling country in the heart of Slovenia's most north easterly region. 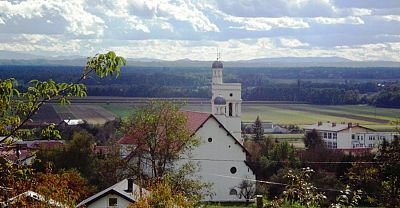 The name Goričko comes from the word "gorice" or little hills. 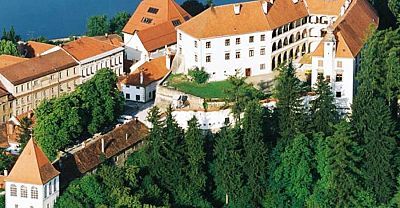 The park also encompasses the town of Grad which is home to Slovenia's biggest castle - orginally said to have 365 rooms. Terme Radenci - The town of Radenci is not only home to Radenska mineral water, delicious and ubiquitous in Slovenia, but to a large spa and pool complex (1500m2 of pools) offering extensive leisure facilities and treatments, many of which make use of the naturaly occuring carbonated water, which was discovered in the 19th century and quickly becaome popular across the Austro Hungarian Empire. 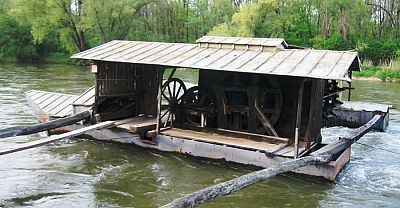 Floating mills were once a noticeable feature of the region with up to 90 of them in existence on the Mura River in their heyday. 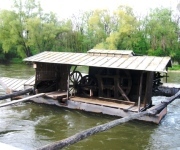 Nowadays there is just one original mill left in operation - The Babičev mill in Veržej. 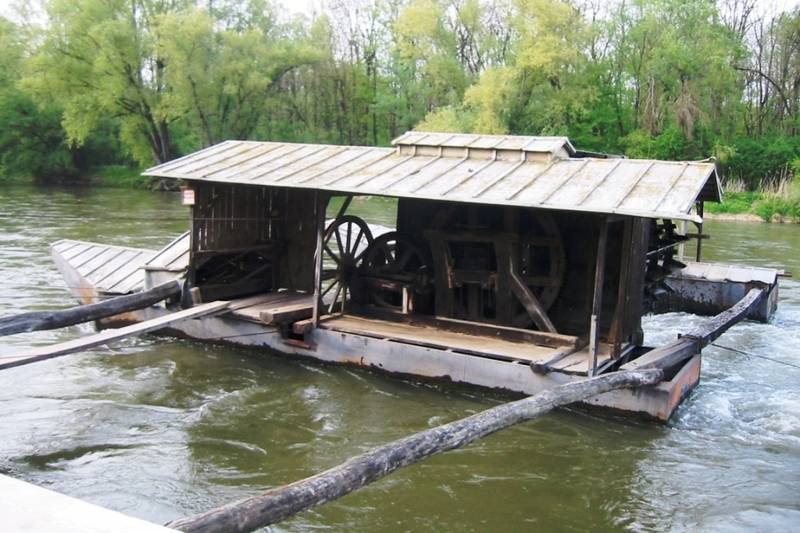 To commemorate the tradition a second operational floating mill has been built at Ižakovci both of which sell local milled products. 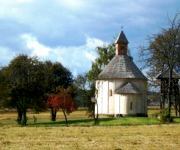 The 12th century Romanesque RotundaChurch in the village of Selo, Prekmurje. 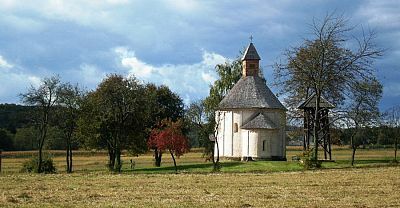 Interesting for its round construction and gothic frescoes as well as its picturesque setting within the Goričko Country Park. 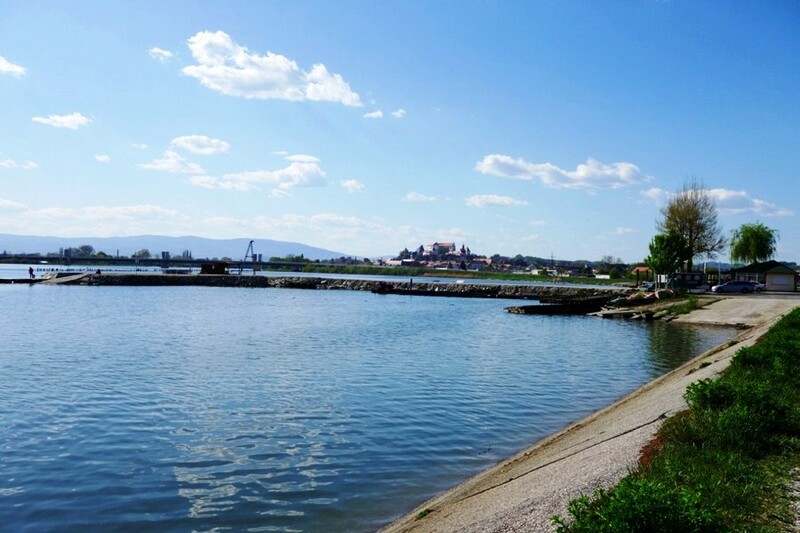 The area surrounding Ptuj - beautiful countryside to tour offering a number of attractions including Terme Ptuj spa and waterpark, Ptuj Golf Course, Ptuj Lake (a man made lake 9km x cca 1km wide and great for fishing and a range of watersports). 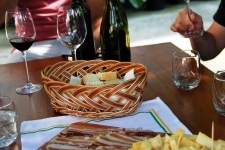 The rich cuisine and tasty wines of Prekmurje. 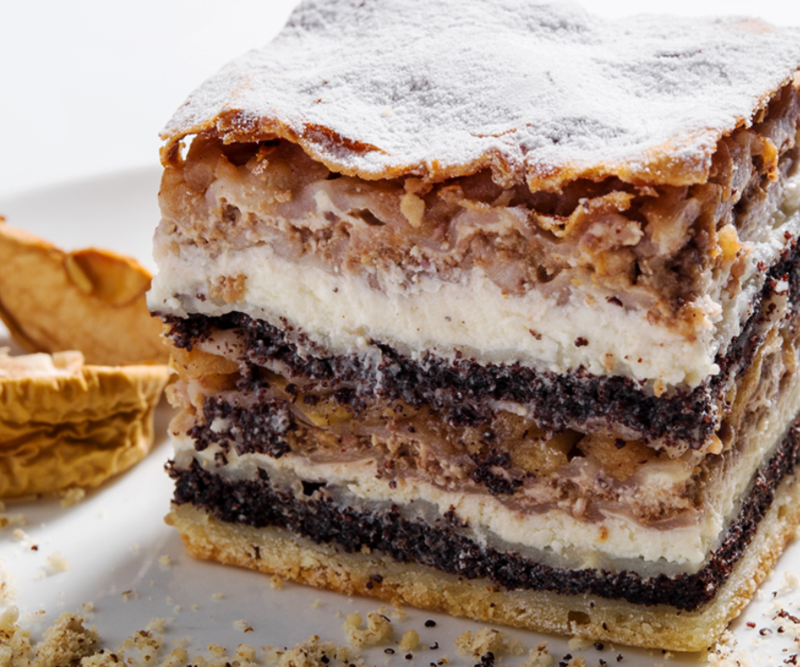 Best known amongst which and famous across Slovenia is Prekmurska Gibanica a delicious if somewhat filling multi layered pudding which has made it onto an EU list of regional foods whose recipe and method of cooking are protected! SKIING: The nearest skiing is at Mariborsko Pohorje just outside of the town of Maribor. This is Slovenia's biggest resort by length of pistes. HIKING: There is some excellent hiking in the region, notable among which is the Haloze Trail in the Haloze hills and numerous trails around the Goričko Regional Park in Prekmurje. MOUNTAIN BIKING: There is excellent biking for all levels throughout the region. The Haloze Hills and neighbouring Slovenske Gorice hills as well as the Goričko Regional Park in Prekmurje are the main areas for biking. 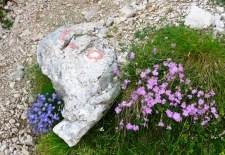 All offer reltively gentle trails compared to the more mountainous regions in the east of the region. KAYAKING: The Mura River is popular for kayaking of the gentler variety. With very few rapids to speak of this is more about gentle paddling in beautiful nature than high adrenalin kayak adventures. FLY FISHING: Excellent flyfishing is possible on the lower Drava River and Ptujsko Jezero. 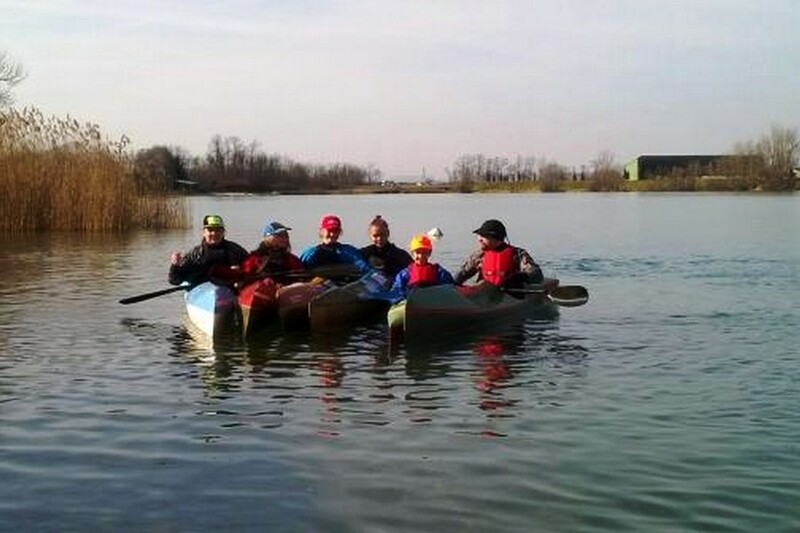 SWIMMING: There is swimming possible in the Ptujska Jezero and at various points on the Mura River. The area has numerous Spas with indoor and outdoor swimming pools. HORSE RIDING: There is wonderful country for horse riding in the Ptuj & North East region. The Galoper Riding Club in Obrež near Ormož organises tourist riding treks in the region. Likewise the Ptuj riding club and Rakičan riding club in the village of the same name near Murska Sobota in the heart of Prekmurje. 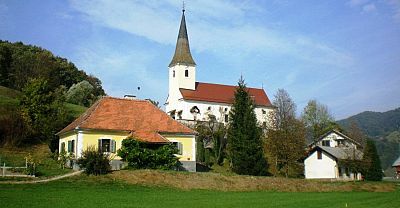 GOLF: The North-eastern region of Slovenia is home to the longest Slovenian golfing hole at some 600m. Livada Golf Course plays host to this hole. Golf Club Ptuj on the other hand boasts the most water hazzards. Both courses work well with beginner and experienced golfer alike. 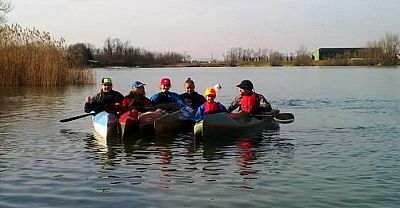 SAILING: The man made Ptujsko Jezero (Ptuj Lake) just outside the town of Ptuj is a popular location for dinghy sailing. 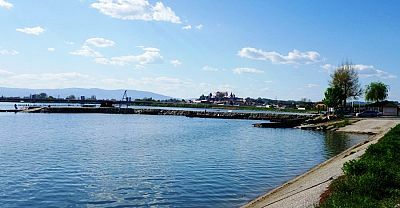 WATER SKIING & WAKEBOARDING: The man made Ptujsko Jezero (Ptuj Lake) just outside the town of Ptuj is a popular location for waterskiing. WINDSURFING: The man made Ptujsko Jezero (Ptuj Lake) just outside the town of Ptuj is a popular location for windsurfing. FESTIVALS: At the end of February there are carnivals - called pustovanje - across Slovenia to "chase away winter". The most famous of these is in Ptuj which lasts for a few days and features processions by extraordinary masked costumed "kurents" and other masked characters, of course accompanied by a good glass of local wine or two! FOOD & DRINK: The North East of Slovenia is very productive in terms of wine growing and includes some of its best known regions: Maribor, Prekmurje, Haloze & Ljutomer - Ormož. 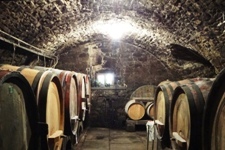 There are excellent opportunties for wine tourism all around the region. The Prekmuje region is known for it's rich, Hungarian influenced cuisine and in particular the EU protected Prekmurje Gibanica pudding. MUSEUMS & GALLERIES: Ptuj Castle is home to a museum with a wide range of furnishings, exhibition of antique musical instruments and exhibtion about the famous Ptuj Kurent carnival in February (see above). It also houses a gallery with some of Slovenia's best baroque and gothic art. The Caslte at Slovenska Bistrica is also worth visiting with lovely frescoes in the great hall, a gallery and various museum collections. 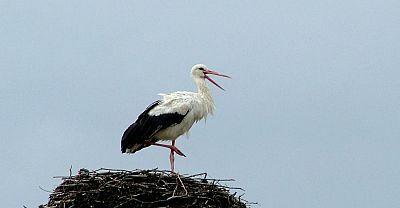 NATURAL ATTRACTIONS: Like most of Slovenia, the region is not short of beautiful unspoilt nature. 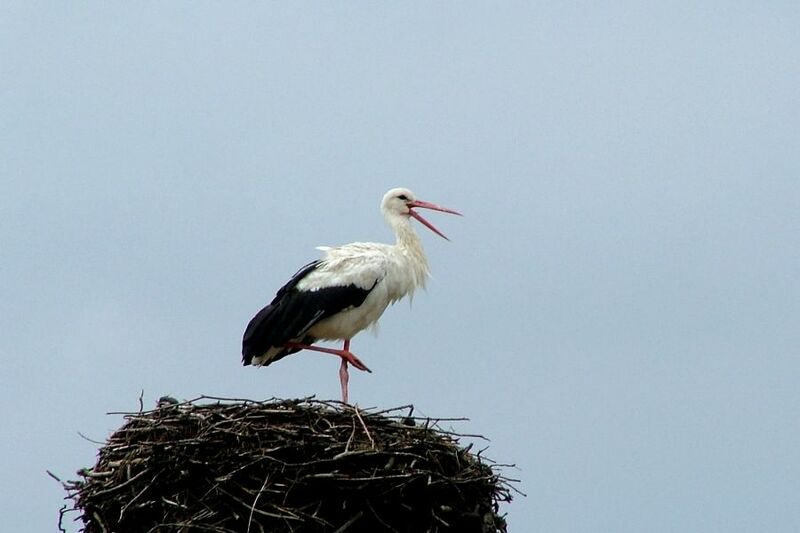 Notable are the Haloze hills and the Jeruzalem - Ormož wine route as well as the Goričko Regional Park in Prekmurje. Scenery is not as dramaic as in the high mountains of the north-west of the country but is nonetheless idyllic and very unspoilt. WINE TASTING: As one of Slovenia's premier wine growing regions the North East offers countless opportuntities for wine tasting and wine tourism. 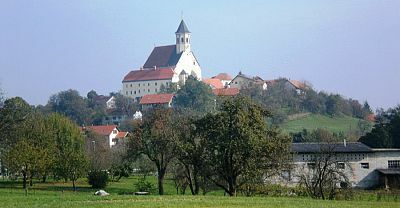 notable are wines of the Haloze hills and the Ljutomer - Ormož wine route but also the Prekmurje region and the area surrounding Maribor. SPA & WELLNESS: The Ptuj and North East region is one of Slovenia's premier regions for spa and wellness, with 4 of Slovenia's fifteen certified natural spa resorts: Lendava Health Spa and Terme 3000 Spa & Thermalium, Moravske Toplice - both in Prekmurje, plus the Radenci Thermal Spa & Ptuj Thermal spa all of which offer a wide range of recreational facilities, relaxation, health and beauty treatments and onsite accommodation. The Bio Terme Mala Nedelje thermal spa also deserves a mention situated near Ljutomer.